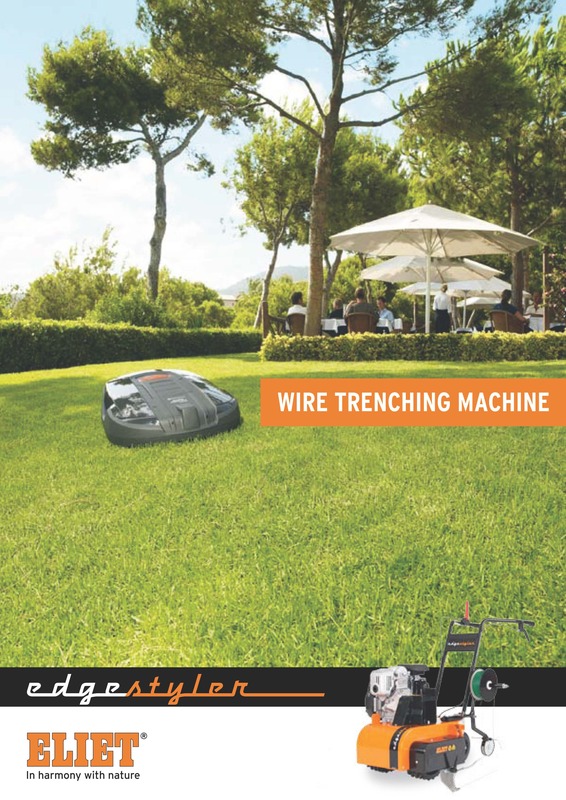 The high demand for robotic lawn mowers also increases the demand for machines that can bury the required wires into the ground. Eliet introduces the Eliet Edge Styler Plus, an attractively priced machine designed for burying cables into the ground. The design paid special attention to ease of use, safety and working speed. The Edge Styler Plus comes with a coil support that can be adapted to several types of wire spools.